Wall Street’s bullishness would likely be tempered if Tesla was seen as using accounting tricks to get back into the black. After years of running deep in the red, Tesla CEO Elon Musk has promised that his company will be profitable for the second half of 2018 — but to get there he may need a helping hand from suppliers, it seems. Tesla shares tumbled more than 4 percent Monday on word that the battery-carmaker is asking suppliers to refund some of its previous payments in order to push itself into the black. Tesla is by no means the only automaker to seek price cuts from suppliers, though its push for a refund on payments already made is considered unusual and could be seen as a sign its finances have not turned around as significantly as Musk has indicated on several occasions in recent months. The request for refunds isn’t the only issue concerning Wall Street. Musk last week denied reports that as many as 24 percent of the consumers who had placed advance reservations for the new Model 3 have canceled out. But in doing so, the CEO also indicated that new orders for the battery-sedan may actually be lagging the recent increases in production at Tesla’s troubled Fremont, California assembly plant. The memo went out weeks before Tesla was set to announce its second-quarter earnings. 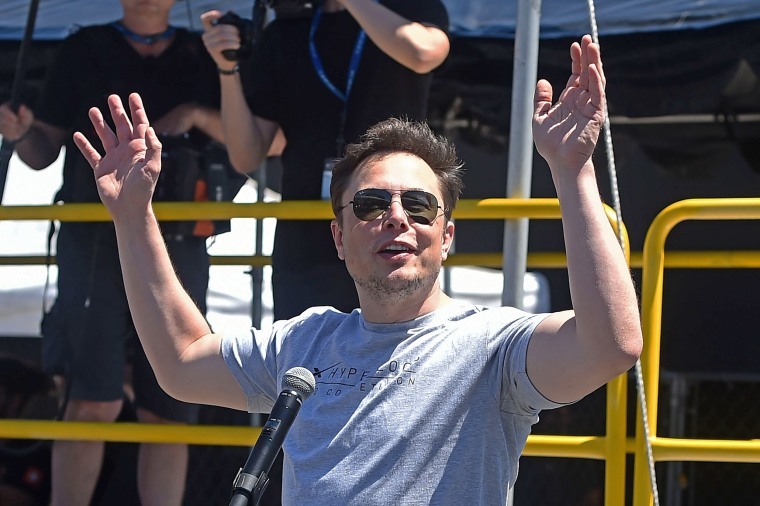 The company is likely to report another deficit, though preliminary Wall Street estimates are that it will not be as severe as the company’s record first-quarter loss — which reflected what Musk previously referred to as the “production hell” at the Fremont plant. Things are starting to look up, however. With Tesla finally starting to get Model 3 production up to expectations — claiming to have rolled out the targeted 5,000 vehicles during the final week of June — Musk has promised to deliver not only a profit but positive cashflow during the second half of this year. While analysts and investors would likely celebrate a Tesla profit — it has been in the black during just two quarters since its stock began trading publicly — Wall Street’s bullishness would likely be tempered if Tesla was seen as using accounting tricks to get there. “Automakers often have brutal pricing demands on suppliers for future work, but retroactive rebates is not something we hear much about, and this is troubling for us to hear,” Morningstar analyst David Whiston wrote in a new report. “Negotiation is a standard part of the procurement process, and now that we’re in a stronger position with Model 3 production ramping, it is a good time to improve our competitive advantage in this area," a spokesperson for Tesla told NBC News. Automotive suppliers have come under pressure from virtually all of their customers in recent years, with major manufacturers like General Motors, Volkswagen, and Toyota expecting constant cost improvements, along with improvements in quality and new technology. That was one of the reasons why hundreds of parts manufacturers filed for bankruptcy during the Great Recession. Whether suppliers will come through with givebacks is uncertain, though Tesla is emphasizing they need it to be successful in order to ensure their own role in its future. While Tesla shares still carry a premium traditional automakers can only dream about, a growing number of analysts have begun turning bearish in recent months and the stock has ridden a roller-coaster, often tumbling sharply on any bad news, only to bounce back up days later.